Designed for an existing bungalow community in Sheepshead Bay, Brooklyn, these pre-fabricated homes address the vulnerabilities of both the individual house and the neighborhood to climate change. 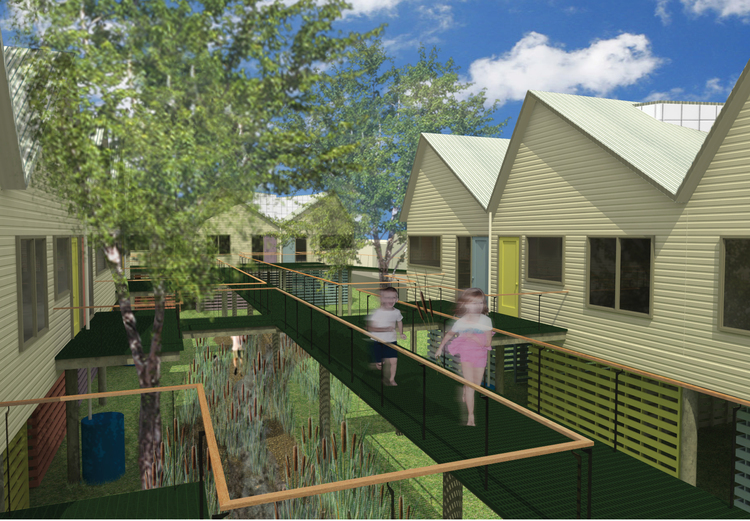 In the comprehensive master plan (see PLANNING: SHEEPSHEAD BAY), the new-elevated houses are accessed by a communal boardwalk above a landscape of water gardens. The small houses have dormers that provide a mezzanine living space and passive cooling and cross ventilation. In this scheme, the original detached bungalows are replaced with row houses in order to capture former side yards as new gardens for water management. 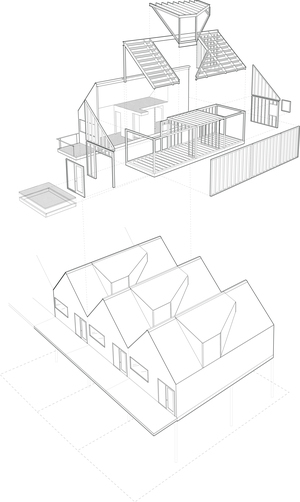 Each home consists of two, 10' wide by 35’ long prefabricated modules and a dormer.